It’s the time of the year again. While back at home people struggle to get past the dreadfully long weeks to Easter and Springtime, the Chinese are as excited as can be: It’s time for their New Year! And again it’s a wild mix of left-over Christmas trees, Santa Claus posters and blinking light strings, mixed with never-ending fireworks and the visible symbols of the changing of the lunar year. 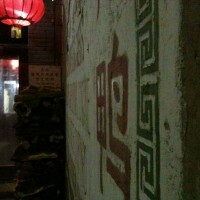 The hanging fish, Chinese knots, “bowing couple” hangers and pictures are ever-present. Not going into the details of those, today we want to focus on another interesting and very Chinese symbol, the “福”, or “Fu dao” as it is called. The character Fu means luck, which in the Western mind would be good enough to put onto a piece of cardboard and hang up onto a wall. A glass of sparkling stuff and off we go with the holiday feeling! Mister Li and his gang though have another level of cleverness. When you look at the picture you might notice a slight difference to the character I wrote down earlier-yes, indeed, the sign is hanging upside down! 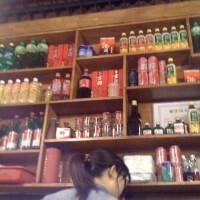 ‘Well, Mister Li must have had one or two bottles of Baijiu’ when decorating the house you may think. But no-this is actually done on purpose and there’s some quite interesting thinking behind it. This is where “Dao” comes into play. It means upside down, and so it very accurately describes our little sign. But as another character with the same pronunciation, it also means ‘arrive’. So, the headstanding lucky symbol “Fu dao” means “may luck arrive here”! Let’s just hope it works. 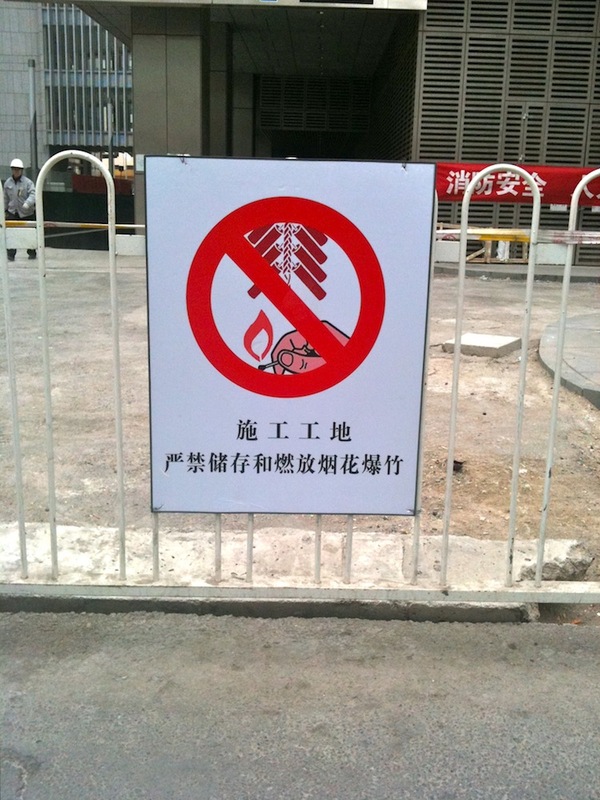 I’m sure somebody forgot to put a Fu Dao sign onto the Mandarin Oriental hotel two years ago. And subsequently it burned down and became the BBQ building of the city. Although, it would certainly deserve a bit of luck these days with its ripped-apart look, now that they have started to really work on it. Noone knows yet what the refurbished building will look like, but here’s a proposal: just build it the same way as before, only upside down. That should do for a prosper future. Our home’s very own Aston Martin dealer (funnily pictured here with a Lamborghini delivered up its drive-way) has moved out beginning of the year. 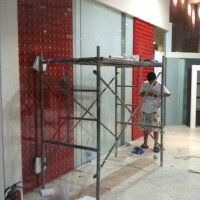 They are now located in a much larger showroom somewhere else, generating a much larger income. So, for a few months it was rather quiet on the ground floor. 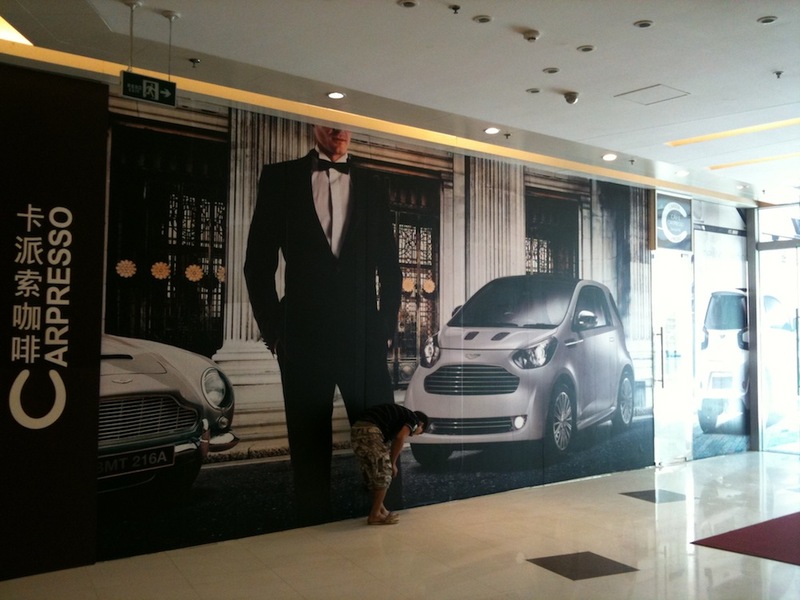 They kind of tried to compensate the sudden departure of the Vantages and DB9s with putting up large full-wall posters of Aston Martin’s newest little baby – literally a little baby: The Cygnet. That one is in fact nothing but a weeny Toyota IQ under the fancy hood and the only reason to build it is the new European average fleet CO2 emission law for a car maker. But it’s not decided yet whether it will ever hit the roads. The only thing that’s decidedly clear is that its poster cannot replace the lost proximity of its breathtaking brothers. However, the long time of wait-and-see is over. Something’s happening behind the covers. They finally found a worthy replacement. Apparently it wasn’t easy. What could possibly follow in the rubber footsteps of a racing Brit? The answer, mind you, directly shoots up the nose. The smoking black round’s odor is replaced by a steaming black round’s temptation: It actually looks like they are going to open up a Nespresso shop. And it seems as if they’re stacking it up with all the same features that a European Nespresso boutique has. 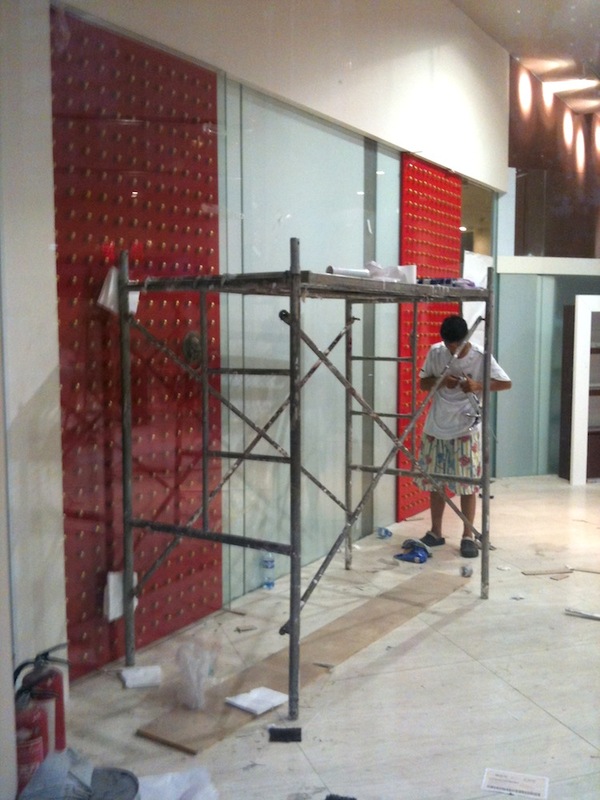 On top they’re even adding red doors with golden capsules, looking very much like Forbidden city. That’s quite a clever localization. So they actually switched my most favorite car brand with my most favorite coffee-at-home brand. What a warm and comforting gesture from the green tea country towards the bean-loving foreigner! I suppose in the future I’ll be client in my own house quite for a bit more than before. 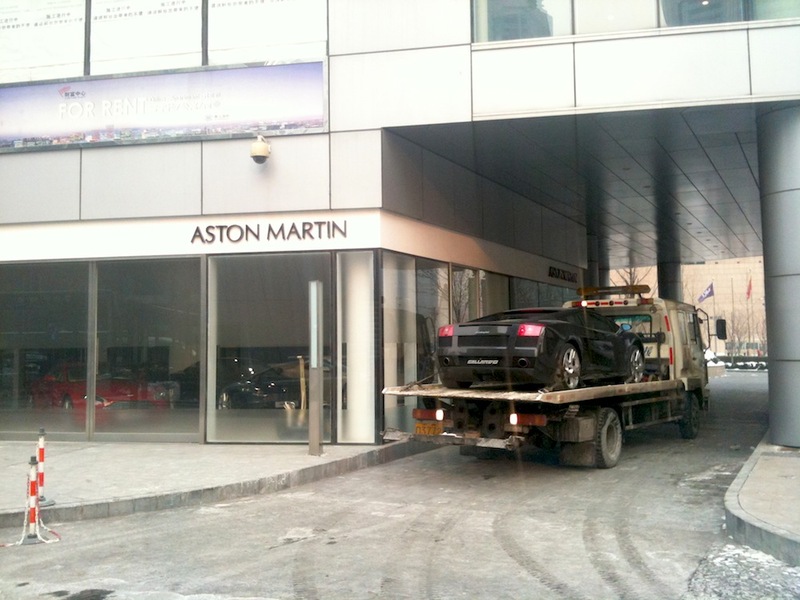 But one thing stays to be seen: Following the Aston Martin – Lamborghini episode: when will we see a Starbucks delivery truck in front of the Swiss capsulator’s red-golden doors? 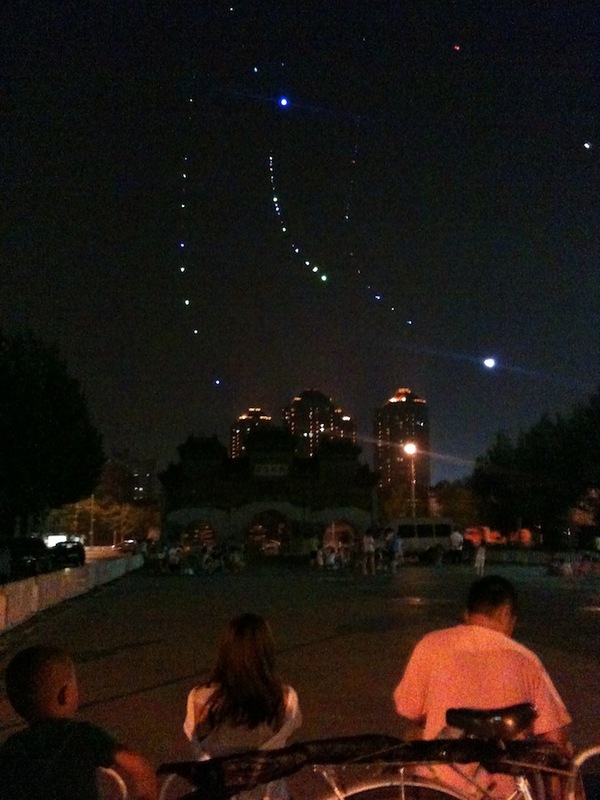 It is a bit spooky: lined up in long winding curves, small flickering lights are hanging over Beijing. UFOs? Frozen shooting stars? 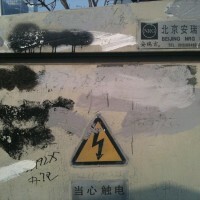 Morse lightning? When you’re one or two blocks away from it, and you haven’t run into this before – you might not be able to find an explanation for it until you get closer. Eventually though you will be standing in front of a square, usually a larger one, to which those light columns seem to be coming down on. And then you suddenly realize: Mister Li is having his leashed-up night beer. When taking the time to sit down with him, something very rare and interesting happens: you relax. At first the mind tries to confront the situation with logic: What on Earth is a grown-up man doing at this time of the night (9 p.m.) on the street, fiddling with kids’ toys? And then you witness Mister Li clipping small LEDs onto the rope. And in a very skilled manner he places them almost exactly at even distance. Very seldom only does he have to get up. And then it’s usually not because he needs to correct the trajectory of his kite, but rather because he needs to help young aspirants master the first few meters into the air. And that, as it becomes apparent soon, needs quite a bit of practice. Two hours later the total kite count above Beijing is substantially larger. It’s a windy night and Mister Li and his line-gang are well prepared. 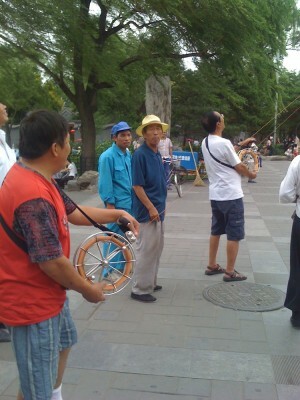 With their professional-looking reels they appear more like open sea fishermen than guys with toys. Those very smooth-running wheels have nothing in common with the rope-around-a-piece-of-cardboard memories of Western childhoods. By the way – the line itself doesn’t either: An ultra thin, remarkably tough synthetic fibre piece which weighs almost nothing. This allows the kite to go up into the air much higher than it would be allowed in London or Berlin. But Beijing has no helicopters and therefore it’s no problem to fly a kite a few hundred meters above ground. Being asked for the reason of sitting here, Mister Li says that this kind of evening requires kiting. A dragon night so-to-speak. And then he nods very meaningfully. Without context this sounds a little strange. 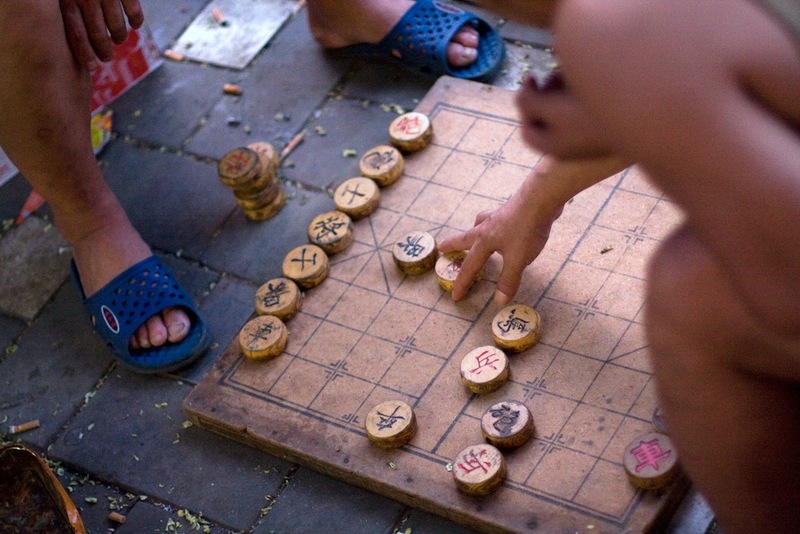 What Mister Li wants to say, is that you can play Xiang Qi (a Chinese form of chess) at any given evening. But when it has wind and it’s warm and – on top of it – a night without much smog, you just have to to go and fly a kite! How shameful to let an opportunity like this pass by. As I gather my things to return home, Mister Li is still comfy on his folding chair, directing the kite traffic with his mates as if there were no tomorrow. 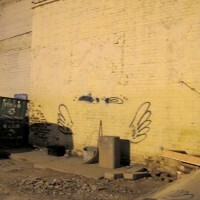 Let’s remember – when I came here, I found there was no graffiti on the walls. It took a while to actually come across this fact. Somehow everything just seemed to be so clean. Sure, I was only running around in the central business district area, but still – it was obvious that something was different. 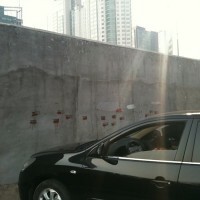 It’s actually surprising to see how used one gets to all that walled tagging and nagging back home. It’s on just about anything. “Somebody has sprayed onto the Eiffel Tower!” And in other news today: The world is still turning. It’s a nasty thing. 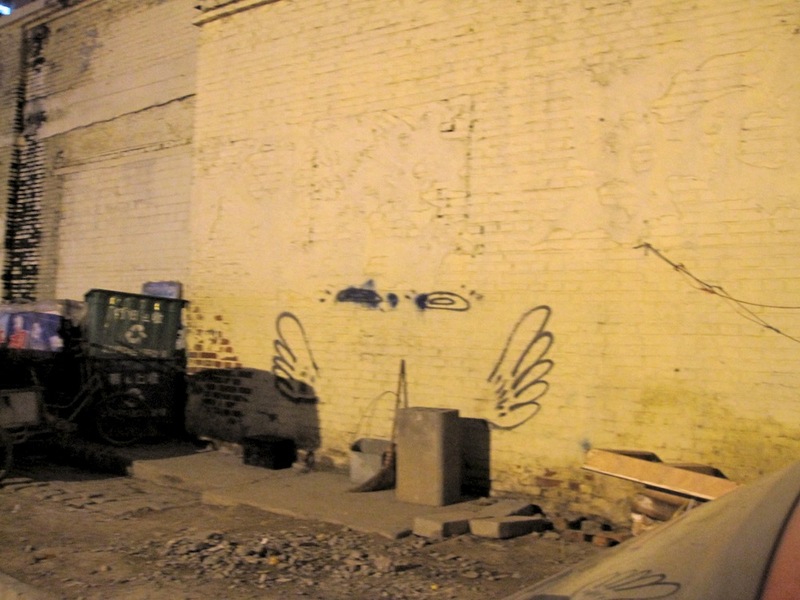 And no posh new age term like “street art” can hide the fact that most of it is not only ugly, which would be arguable, but it’s more often than not plain illegal and damages somebody else’s property or life quality. We have become acquainted to everyday life’s painted mumblings and so it’s almost a disturbing sight to stand in front of long walls without the usual drippings of wackiness. 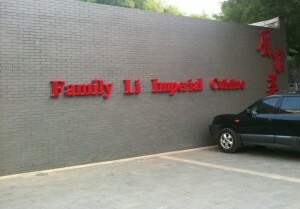 And in Beijing the walls are as clean as the first day. Or so I thought. It took me another while, just as long as the first one, to discover things aren’t as un-sprayed upon as I thought. Only, around here you’d have to look out for something different. They are small, usually black or red, and they contain long numbers. 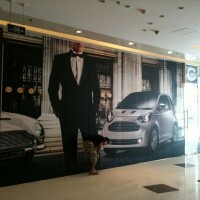 They are on walls, on the floor and on side curbs. What people put there is not a helpless outburst of hello-world-I-am-here-please-notice-my-existence-please-please, it is rather a sense of making business. We’re in China after all. Need a new ID card? 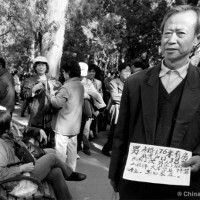 A Hukou (registration) or some other official form of identification? Let a brother help you out. ‘Lost’ your driver’s license? Sob no further. Whatever it is you are having trouble with getting the official way-the spraying powers can provide you. Certainly though, you won’t be given a receipt or find a customer service department on the other end of that phone number. But you probably guessed that by now. 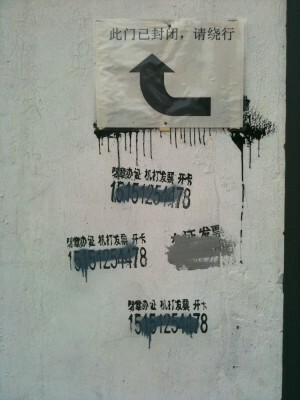 Interestingly, most of the phone numbers are painted over. There’s obviously a substantial number of people responsible for crossing them out. Funny enough though, they really only paint over the numbers. You’d think they should cover it all (why take away the number and keep people be interested in the luring offer of a shiny new driver’s license?) and sometimes they do that, but often they don’t bother. And sometimes the paint is so thin that the number below easily shines through. But hey – we covered it, so don’t tell us we didn’t do our job! So in a strange poetic way the city is filled with thousands of proposals to change the person you are. Once in a while you also see people riding a bike and dropping little papers onto the sidewalk. With the most innocent facial expression in the world they look the other way, but the trail of cards behind them unmistakably originate from their pockets. It’s another layer of shady offers, much more temporary in existence, but no less illegal. Luckily all my papers and documents are in order at the moment, so I have no need for any such services. However, I’m still waiting for an offer for more leisure time and tranquility. That would certainly be a remarkably valuable offer. A is before B. And U before me. Cz is pronounced “tsh”, but you’ll still find it under C.
The alphabet is great. Not only does it allow us the verbal and written communication – it also gives us the possibility to create completely new word-creations. However, one talent of the alphabet is completely under-rated until you arrive on the other side of this planet: it’s ability to bring order. Whether it’s sorting the file cabinet, the CD- or the book shelf – lot’s of people would have a hard time without that alphabet. It eases the checking of the attendance list in class and provides for a clear structure in the mobile phone’s address book. Want to sort according to the first or the last name? One click and you know where to look for – and find – your friend’s numbers. Looking for answers we firstly run into the usual Chinese traps: one asks a direct question like, let’s say: “how do you sort things in China?” and wakes up about an hour later, being stuck in an exhausting and hot tempered discussion. A discussion without any foreseeable end or a definite answer. Luckily, the old times (about 50 years or so ago) are over. Back then pretty much anyone had their own way of sorting. And you don’t want to try and put logic to that. Nowadays two main systems have survived: sorting by pronunciation and by the number of line strokes. By the way – most computer systems also sort files this way and therefore, surprisingly, they follow the alphabet. At least phonetically. Except when they don’t, which also happens sometimes. And you guessed it – nobody knows why that is. Stacking variation #2 refers to the line-count of the Chinese characters. By this system we will find 静 under 14 and 建国 under 8. From a European point of view this is quite weird. 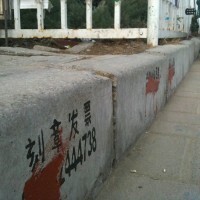 Chinese, however, are used to the proximity of letters and numbers. It’s how they look up unknown characters in the dictionary. 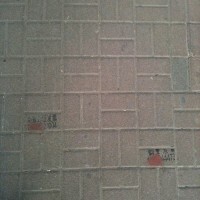 China developed a counting system, because of the fact that naturally nobody is able to pronounce a character they have never seen before in their life: So they count the line strokes in the main part of the character (somehow Mister Li and his bunch are able to determine this). And with this information they quite quickly can find the character in the dictionary, which has a look-up table for this purpose. That’s quite a handy thing. Only our structure-loving Mister Meyer is wondering about two different systems existing in parallel: “But that would mean having to always first check which kind of system is used!” Exactly, Mister Meyer, you got it! And Mister Li casually adds “….so?” and keeps chewing his chicken foot. If your last name is “Li”, order and regulation are not exactly the main purpose of life. And it doesn’t matter either, people still survive. Our bureaucratic Mister Meyer on the other hand is still startled and orders another beer. 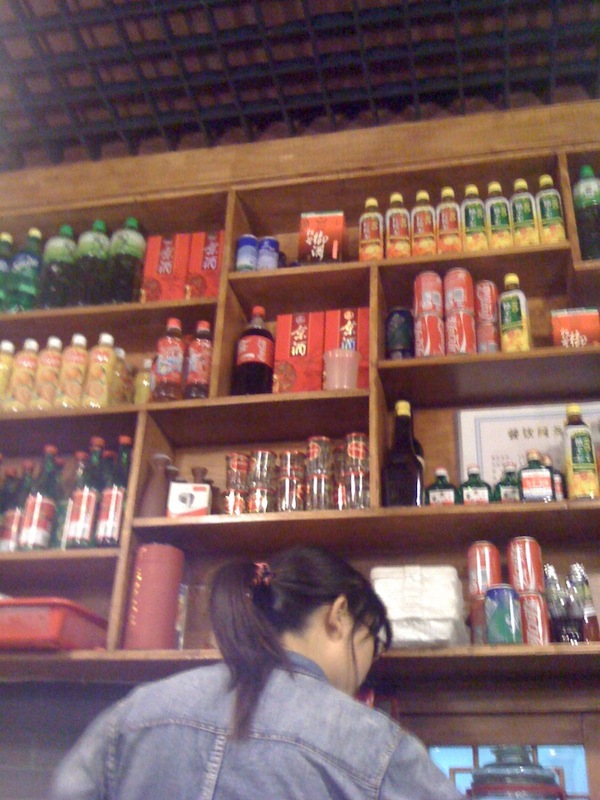 By the way: just like in the West, beer in China is sorted into the belly. Ah, we’re not so different after all. Ganbei! Mister Meyer raises his head from the menu. His wife however is terribly busy talking with Miss Johnson about the pros and cons of buying fake handbags. “Oh, right”, he remembers, ” we definitely need this potato mountain. You know, the dwarfy fries if you will. Those are just to die for”. The waiter, a distant brother-in-lawish cousin of second degree to Mister Li’s aunt in the mother side of the family, is duly noting down the order and then returns to look at Mister Meyer with great attention. Mister Meyer, being done with his order, just sits there and looks back at him, not showing any signs of adding something. The waiter is obviously confused. But the reply he gives not only confuses Mister Meyer. It has the same effect on Mister Johnson and would even confuse the ladies, if only they were less busy with their topic. Mister Meyer is slightly helpless. Well aware that an uncomfortable pause is beginning to build up, he quickly tries to find a solution for a problem he doesn’t even understand. “Ehm, well, so we’d also like the lamb with coriander.” It almost rather sounded like a question than another order. As Mister Meyer looks at the waiter again, his confusion is quite tangible. How many dishes would he need to order until it’s acknowledged as a valid meal? Here we were able to witness a scene which every day takes place in this country in one way or the other. Our culinary quartet from the West will shake their heads upon leaving the restaurant. 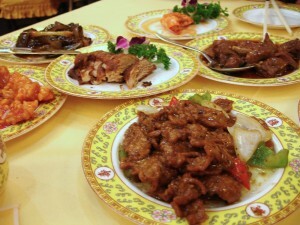 They don’t understand why in China people need to order so many main dishes that it’s impossible to finish the plates. The clearing waiter on the other hand is also shaking his head. And it’s because of the foreigners who always order so many side dishes while forgetting so many other important parts of a meal. The yummy tummy reader probably guessed it: once again everything is different in Li country. In the West we have gotten used to a very clear food order: Steak with fries, chicken with rice, lamb with sauteed veggies, red snapper with salat on the side. 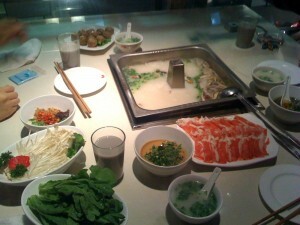 Neatly following formular t as in tasty we call the dish by the meat part and treat the herbal part as secondary level. It’s on the side any way and therefore not too important. But noone cares too much about this, because at the end of the day, in the West we are served a pre-arranged meal all on one plate for a single person. You may order a starter prior to the main course and that could be anything: hot, cold, meaty or veggie. 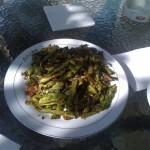 Being a starter, it has no further description like, let’s say, side-dish-starter or main-hors d’œvre. And nobody cares should you not order any starter at all. 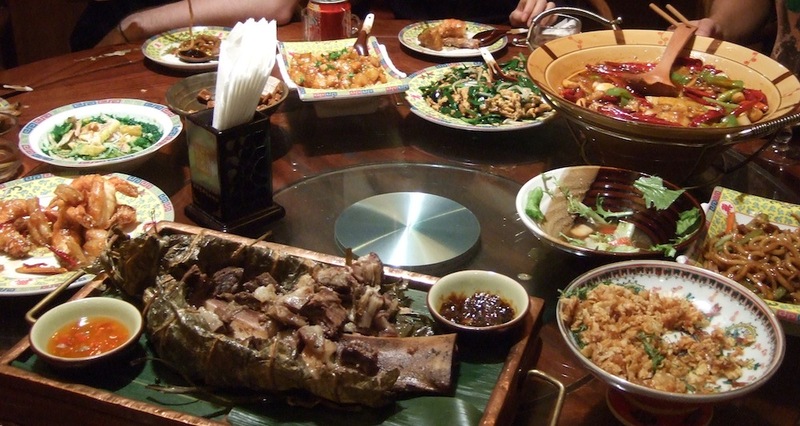 In China people expect you to be able to compse a dinner. 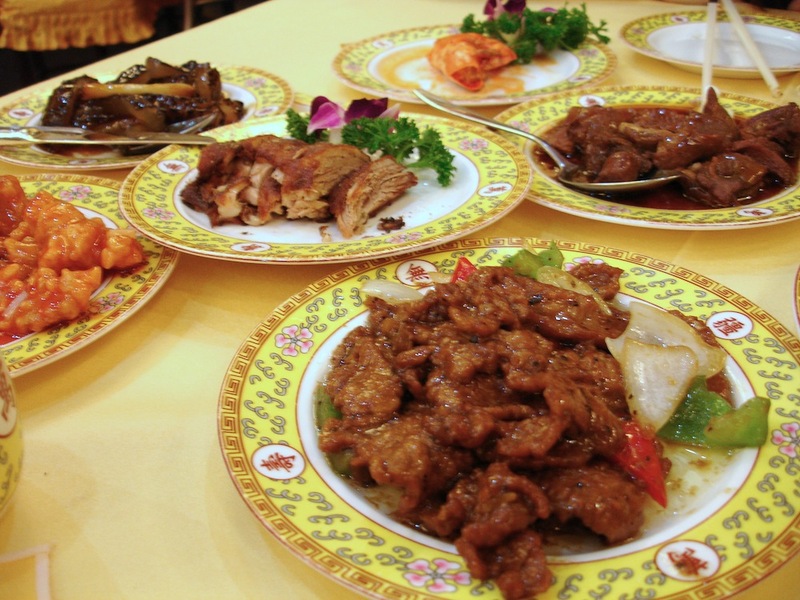 You don’t get your all-on-one-plate servings, but need to order every food category yourself. Oh, and of course not only for yourself, but for the whole group. The plates will be gathered on the turntable in the middle and everybody enjoys everything. If it’s tasty. And if it’s composed with sense. There should be a soup in order to warm up the stomach. A cold starter (there aren’t really any warm starters) should be on the table and of course a number of dishes, covering at least two meat categories. And certainly some veggie plates as well. After all that we turn to the main course. This is usually constituted by a bowl of rice, Baozi (a dough ball with filling) or noodles. Something with starch. Being a foreigner, this can certainly mess up your sense for what terms to use for food. A small bowl of plain rice….and that’s supposed to be a main course? You’d never guess if noone tells you. Tea is also a must on the table. Or beer for that matter. A clear choice. And with both there is a single principle: The host (we’ll learn who that is in a minute) refills. And refilling means to watch out closely that no cup or glass is ever less than half way full. That constitutes a problem for the peace-loving European who likes to empty the glass or is looking forward to the drinkable temperature of the tea. It’s like consumption stress: much too often will he drink and also way too much, because the glass is always full. The person to refill the glasses also has to watch out for one more thing: never to place the tea can facing any of the guests. That’s rude, will bring heaps of bad luck and constitutes the beginning of the end of the world. The only strange thing: this seems to be limited to the guests on the refiller’s own table. Nobody gives a chicken foot, should it point directly towards 120 other people in the room. The host in the role of the refiller needs to be very much up to speed. Should he fail to fulfill the filling, he will be perceived as being stingy and inhospitable. Optionally this arguable fame falls to the younger generation who are required to take care of the oder ones. Regardless of who is the host. And that brings us to the topic of “who is the host?”. Let’s assume that Mister and Misses Meyer have called up Mister and Misses Johnson to go and have dinner with them. In the Chinese mind, everything is set from that very moment. Mister Meyer is expected to book the restaurant, choose the dishes (at least 2 more than anyone can eat), watch over the drink supply and at the end of the day to pay the bill. Mister Johnson’s task on the other hand is to act like he wanted to take on the check. After that, both should fight for a short moment, only to have Mister Meyer prevail. This enables Mister Johnson to express a friendly “next time it’s on me”. Subsequently that’s something he should do. And everything starts over from the beginning. With or without main course. Ah, the best time of the year! 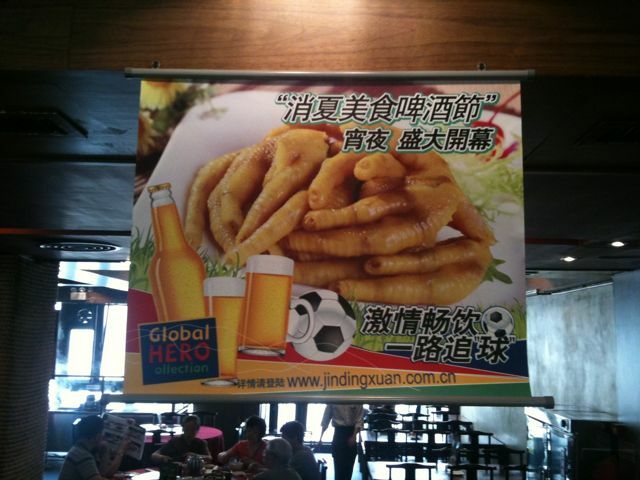 Football, a chilled beer on the table and…eh-cold chicken feet! 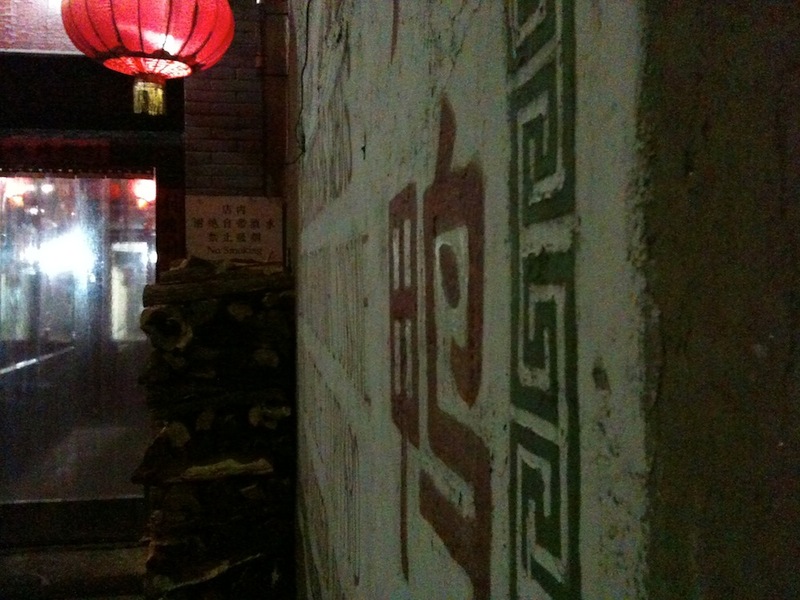 There are other posters as well-advertising fried fish, duck neck, pig intestines and river crabs. Gosh, Mister Li, what happened yo good old potato chips? What was Confiucius called with first name? Joe? Brad? Mortimer or Bruce? Or maybe his first name WAS “Confucius” and none of us knows about his rear? In this case, his mom might have yelled “Fuci, dinner is ready!” when it was time to stop playing around with DIY philosophy kit. While it sounds like silly fun, it carries some heavy stuff behind the laughter lines: The difficulty of name distribution beyond the nick name axis. Somehow everyone has already picked up on it somewhere that there was something the Chinese did differently. Was it the direction in which they are writing? Are they doing it from right to left? No, hold on, that was the Japanese. Bullocks, they are doing it from top to bottom. Yepp, but THEN they’re going from right to left, just like the Arabs do. Only those aren’t Asians, at least not the majority. But this takes us too far off the subject. 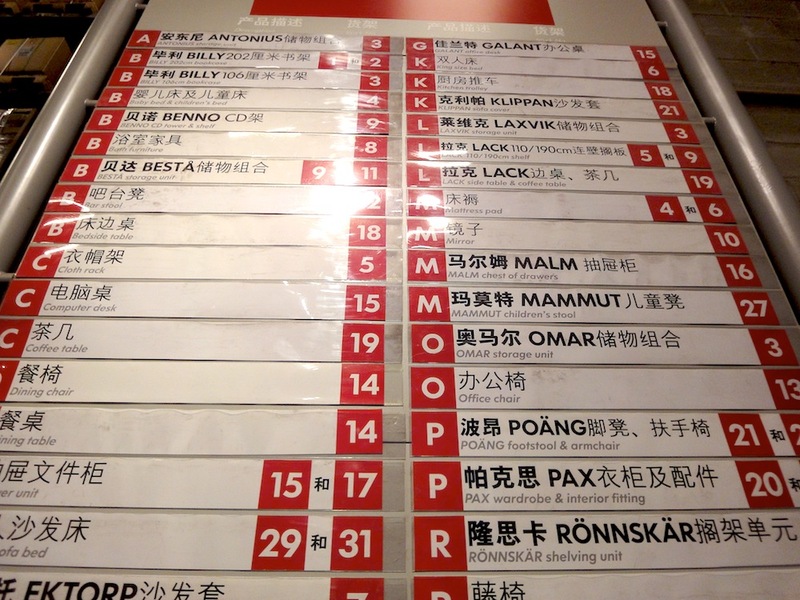 The only thing that, according to our sense of order, the Chinese do from right to left is their naming. Hu Jintao, Wen Jiaobao and even Mister Li – they all carry their last name up front (certainly, we now need to ask the deeply philosophical question whether or not we can actually still call the last name just that. But let’s not twist our last two brain cells over this). So, comrade chairman is not happily greeted with “Hey Hu” when he takes his bicycle around the pond for a spin. Rather he’ll be thrown a more polite “Yoohoo, Mister Hu”. By the way: “Hu” also means beard or mustache, but that doesn’t necessarily mean he keeps a stiff upper lip. So, the Chinese are turning their names around and start in reversed order. And they’re actually doing this with lots of things. Mister Johnson introduces himself this way: Hello, I am George Johnson, I’m working as an engineer at Intel in Santa Clara, California. His business partner, Mister Zhang on the other hand does it like this: Hello, I am Zhang Yu, I work in China, Beijing at Honhai as head of inspection. It wouldn’t be fair to say that all Chinese are coming on from behind. It’s more likely the much different perception of the importance of the individual that makes them do this. Being a little nasty we could say that in the West everybody thinks of themselves as the greatest thing on the face of this planet. In the East people believe they are merely a tiny wheel somewhere in the back of the much larger gear of society. The basic difference of one’s own identity can easily be displayed by asking the simple question “what’s your name”. You will hear “George” from the left and “Zhang” from the right. The problem is that the names of the opposing culture are more often than not anything but self-explanatory. Is it Wang Bing or Bing Wang? Eventually you will have to ask. And once more you feel like the stupid tourist from next door. However, asking also doesn’t necessarily get you very far. The reason lies within the previously mentioned circumstance that a “last name” in this sense is non-existant in the Chinese culture. “Is Wang your first or last name?” usually would result in a puzzled face on the opposite side. Sticking to the truth he would reply: “Wang is … my name”. Oh,really? We knew that already, John Doe, but which one of your names is it? This question makes his reflective cortex burn up and all you can expect to come out from him will be a cloud of smoke. He won’t understand why you’re asking for only a part of his name. Certainly he does know the difference between the family name and the given name. 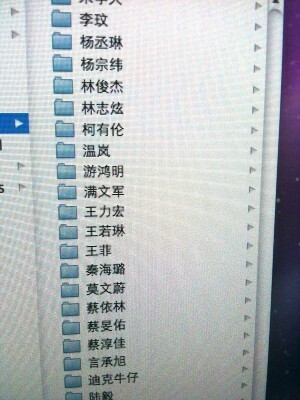 In China though, people will either call one another by nickname, a construct of a title and last name or the full name. The latter certainly by putting the last name – or what you want to call it – first. And who knows – maybe this is the root of the old saying “the last will be the first”. Fresh green leaves overhead, chirping birds, the occasional tickering of a bicycle rolling by and maybe the faint sound of a water fountain. The feet either on plain earth or light gravel, the nose is delighted by the smell of trees, blossoms and rich soil. Walking in a park is magical. It’s one of the few things that almost everyone loves. It heals the wounds of stress, it nourishes the senses and calms the mind, preparing it for the next tough week of life ahead. It’s a piece of freedom of the cake of space around you. Geez, that’s heavy stuff. Mister Li has really spruced up today. Shirt and trousers are neatly ironed, the shoes are shiny and his hair resembles a perfect maoistic replica. His jacket casually resides on his shoulder. It doesn’t fit right now – a large pile of fresh 100RMB bills provides his wallet with a considerable belly which would make wearing the jacket look rather awkward. But the precious stuffing is of great importance. Because today Mister Li has a date. And a date in China is paid for by the man. There’s no political correct fiddling with the bill. Who was drinking more wine, but had less 18 on the 23 and who had the sweeter tooth during desert? You can never really split a bill in half, and so East of Berlin nobody even tries. The man very manly proves his strength. He picks the restaurant, after that the food and eventually also the bills from his wallet. Madam Wonderful on the other hand is expected to be styled-up to covergirl standard. Her job is to flirtatiously but in a slightly shy way wave her long eye lashes at the person on the other side of the table. And she’s expected to be in awe to anything Mister Li acquaints. Very clear areas of accountability. That’s not too bad after all. Only, Mister Li doesn’t really know WHO he is about to spend the evening with. Short, tall, thin, clever, funny oder fond of tiny handbag doggies? He doesn’t have the slightest clue and his wondering mind puts more and more wrinkles on his forehead as the evening comes closer and closer. Well, but sure! Michelle and Steve anyway will chat around over pasta and have heaps of easy fun, because they don’t even know they have just been blind-dated. 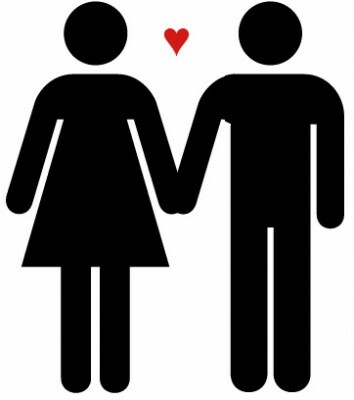 When Mister Li and Miss Wonderful meet up, they will similarly not be the ones who have arranged for it. They will know however, that it’s a date and they’re even going to be all by themselves. And they definitely will go. They have no choice. So, while these two strangers are making their polite hellos in the restaurant of choice, we will leave the scene for a moment. Let’s go and take a look at how this actually came about. And for that we need to turn back the clock a whole week. Mother Li is getting out of the cab. It’s a sunny Sunday morning, the air smells like success. 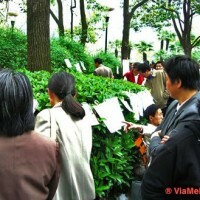 She resolutely closes the cab door and turns toward the Yuyuantan park in front of her. She loses no time, knows exactly where she wants to go and elegantly bypasses any obstacles and sights on the way. It’s perfect timing as she reaches the cattle market. The choice is substantial, the competition sparse. 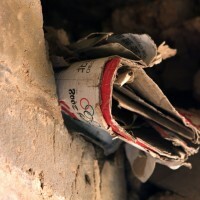 Mother Li opens her handbag to grab hold of a pile of paper – documents and photos. Today it’s going to work out wonderfully. She can feel that. One last deep breath and off she goes with the astuteness of a hunter. She approaches a pack of chattering women and throws a cheerful “Good morning, ladies”. This is future in the making. It’s a mercyless business. And it’s one that bears a high numerus clausus. The Chinese, as we all know, believe in lots of superstitions and they have legends for just about anything. 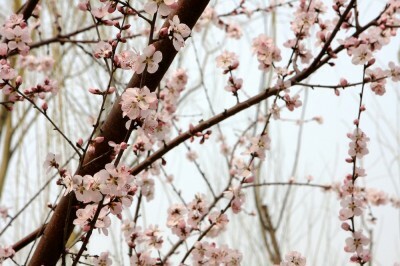 At the time of the Tang dynastiy for instance there was a god who was responsible for the love between man and woman. 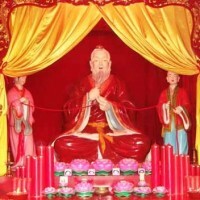 Yue Lao, the “old man in the moon” possessed the book of fate. Written in it were all the people’s marriages. Furthermore he owned a red strand. It was said that once he tied two people together with it, they were bound to fall in love. regardless of how much sympathy they had for one another beforehand. We don’t know whether the most beloved hobbyhorse of the Chinese, the matchmaking, started back then. But this hobby does belong to them the way baguette bread belongs to the French. 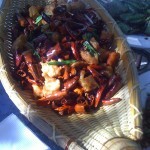 Today, however, Yue Lao is not needed. 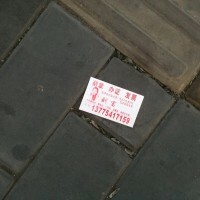 Mother Li has already gathered 5 promising telephone numbers. Having done one hour of negotiations, this is quite normal for her. After all, she represents a son and that makes the game a slight bit more easy. Almost 90% of the tendering community is offering daughters. Mother Li is used to having the choice. But still it’s a kind of an art. 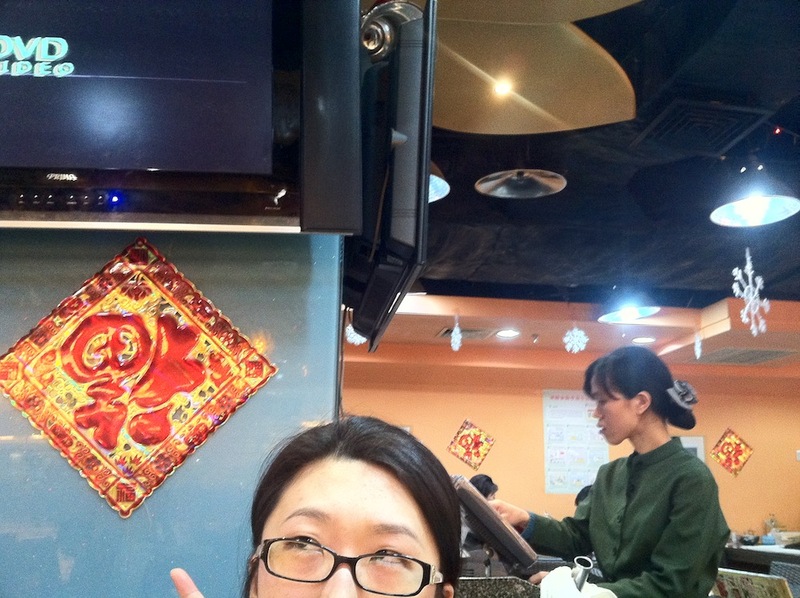 It is considered impolite to refuse an offer for a date and so mother Li has to go upon it in a very tactical way. Don’t reveal too much information to soon. The daughter mob is lairy. Rapidly and unconsiderate is it lusting for contact. Matchmaking is all that counts. The clock is a-ticking. Those whose female offsprings have passed 25 years of age look as relaxed as a trout in the desert. After 28 they are considered old. The daughters that is, not the trouts. And make no mistake – when a date gets arranged for on this market, it has a sole purpose: the two candidates are expected to decide for marriage no later than between main course and dessert. 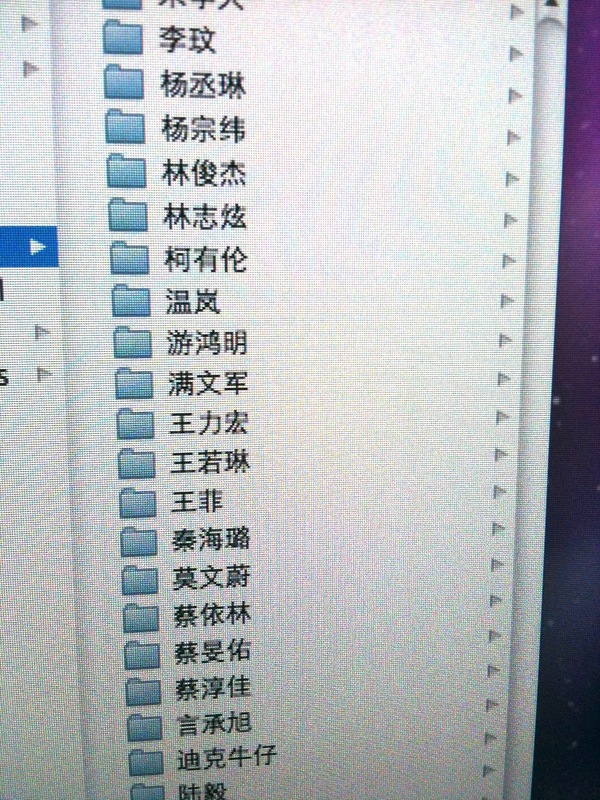 So that’s why mother Li is being very serious about the whole thing. Serious and, well, motherly. She even has a trick that keeps any obstrusive candidates at distance. She invents alternative realities. Something that works really well is the story of her son being divorced and looking for a second wife. That usually does the job. The market doesn’t like return items. Luckily she has the possibility of doing so. Men don’t have a best-before-date on this market. For them there merely is a financial hurdle. And you’re all safe should your collective possessions make you pass this one. Mister Li is very safe. Not only does he have a decent job, he also owns an appartment. That’s why he already outlived several motherly procured dates and still keeps both feet on the ground instead of hectically putting down one knee in a rush. Besides him, every week in China there are countless other daughters and sons who find themselves confronted with dating schedules they didn’t see coming. It’s pure stress. Even worse, at the end of the night there’s always the debriefing with the parents who want to know whether they can finally call the banns. And that is pure pressure. So every meet with every candidate becomes a test. If you don’t immediately hear violins play or see angels dance, your fear of being difficult to place just keeps growing another bit. But do you really have to use mediators to meet the love of your life? The uncountable number of agencies for just that matter speaks for itself. Sure, the Europeans have them too, but on this side of the planet they are much more realistic. And that can be quite uncomfy. In Europe people like to pretend they care about nothing but the moral courage and the philosophical world views of other people. But in China facts are what matters. You might not even be accepted to an online platform for instance, should you choose to keep your salary a secret. You even find platforms which won’t accept anyone below a certain level of financial strength. The logic is ravishing. And even the very individual and enlightened European has to admit that this problem isn’t anything unusual. The means may differ, but the goal is the same. And the Chinese don’t have the Westeners’ possibilities of running into someone in a bar or a club. Those establishments are still considered slightly shady amoungst a surprisingly large group of Chinese people, regardless of age. It’s an ancient misbelief, which (no longer) bears any truth. The remaining choices are office and friends. Or one of the previously mentioned agencies and mom and dad. Luckily the Chinese method is with quite some success. Lots of parents have sufficient time at their disposal to go out and hunt. And they have no fear of contact. Besides: Who else would know their kids this well? And that’s the best prerequisite for matchmaking. Whether the kids like it or not. Mister Li really had fun tonight. It’s not always likt that, so he really is upbeat. He sends the young lady off in a cab and watches the car disappear in the traffic. A smile runs around his face. It really was nice. 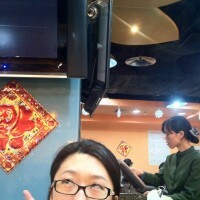 Mister Li would love to see her again. Best tomorrow. But unfortunately that’s not possible. Tomorrow is Saturday and as usual mother Li has appointed two new dates to attend. Mister Li sighs and calls a taxi to take him home. It really isn’t easy being single in Beijing. A Saturday at IKEA. A truly marvelous idea as anyone knows. Arguments, annoy and lots of lovely proximity are a given. And an empty wallet after having strolled through their market hall is very probable to say the least. Back home you really aren’t too sure any more whether you really needed another 3-pack of scented candles. 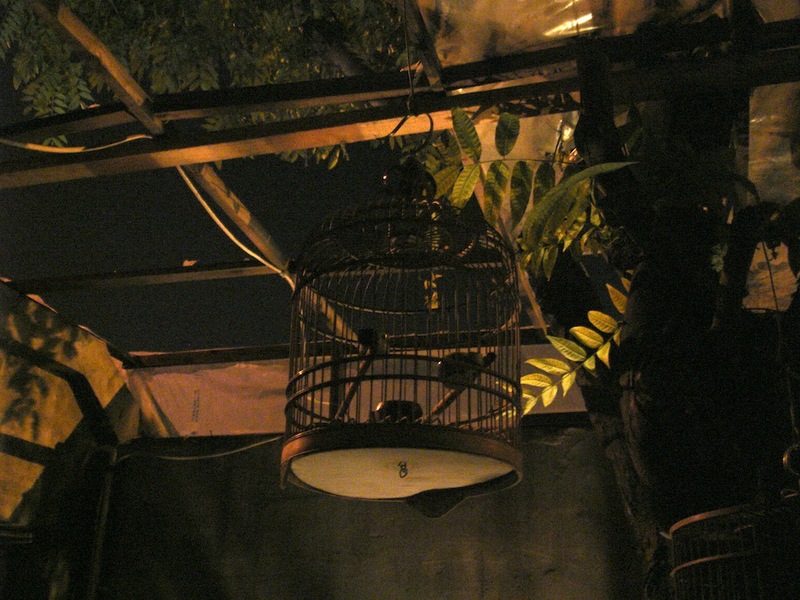 The same goes for the little plant and the floor lamp. You actually just got that one because you were unable to squeeze by the fighting couple with the plates & spoons issue – One glance around the store and the cart is half way filled up. Magically. 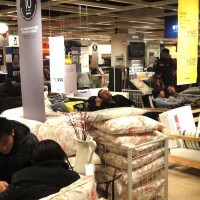 A Saturday at IKEA is nothing for the fainted heart. And that’s why we went on Sunday. 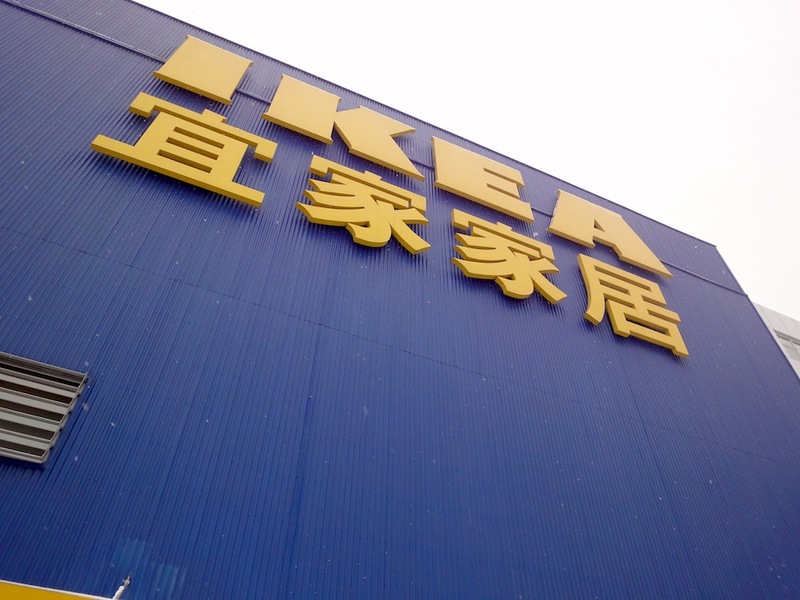 While back home in Europe all you may spot are some lonely inline skaters who make good use of the closed parking lot, in Beijing IKEA’s door sign reads “Ja! We’re open”. And it’s not even something extraordinary – the legislator didn’t plan for a day off on Sunday. Seven days a week shopping until 10:00 p.m. and everyone’s easy. Of course the disadvantage is that the shopping Sunday on Swedish ground is no different to the shopping Saturday. Right after entering the yellow box the mind feels furnished and deranged. Not because of the heaps of people, but because of the creepily familiar environment. 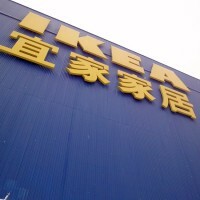 And that’s despite the fact that IKEA isn’t even called IKEA in China. Instead it’s Yi jia jia ju. Yepp, sounds just the same…. “HEJ” – a large banner yells right at the entrance. Underneath the directions to the Small Land. The one with the funny colored balls you can dive into. Little Mister Li would like to be picked-up by his parents…< Next to the stairs is the catalogue, filled with all the usual suspects: Lack, Benno, Galant, Ektopr, Pax and the rest of the family. Living room, kitchen, private office, bedroom – they all nicely line up in the same order they do at home. 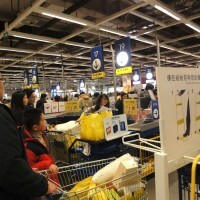 IKEA is always the same and with that it’s the largest incarnation of good old home in whole China. 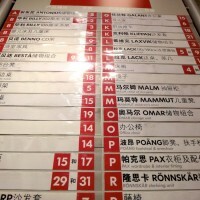 And it’s difficult to compute, because even though all the names are the same and everything looks familiar – there ARE differences. a href=”http://www.suddenlybeijing.com/wp-content/uploads/2010/03/DSC00942.jpg”> At the same spot where James and Michelle use to discuss the fitting height of oven, microwave and fridge we now spot Mister and Misses Li, Mister Li’s cousin, Misses Li’s sister in law, their mother and their three neighbor couples. They hover next to the same oven and wonder about what to do with it. It doesn’t deep-fry, steam or cook. It’s no good for fish soup and you can’t even fit a rice pot into it. It’s too slow for heating up congee and even if you did, after that you couldn’t touch the pod any longer. Stupid thing. Suddenly Misses Li has a possible solution: You probably need the hot box for foreign gourmet food like burgers and pizza. Well, she’s not too far off actually. But the differences in understanding lie much deeper within, so we better leave them to their discussion and head on further down the hallway. We are passing a toilet that is placed right next to the walkway. And we are irritated – the bowl is covered by a perspex. Its inscription informs the nosy ones that the real toilets are to be found right next to the restaurant. We are wondering whether there would actually be customers who think it’s a feasible idea to sit down in the middle of the shop, surrounded by hundreds of people and do what needs to be done. At the next corner, Li junior is sleeping on his girlfriend’s shoulder. In a bed – Redalen for just 1.299 RMB. Meanwhile little Li’s lovely flame is staring at the ceiling, possibly wondering how she can convince her snoring sunshine to understand the term “pick-up price” more literally. On the other hand she might be thinking about babies, shoes or jewelry. You never know. 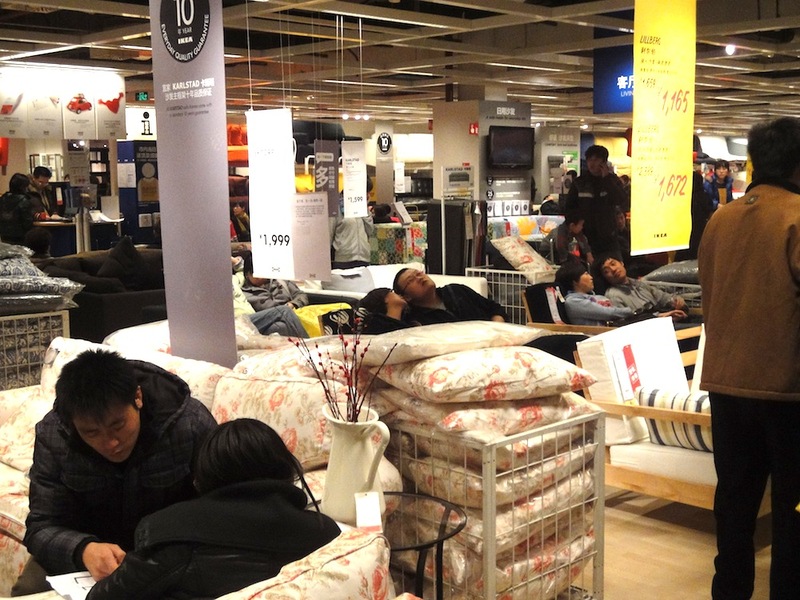 Sleeping Chinese in Swedish beds, that’s not a rare sight around this place. The same goes for the ones sitting of couches, arm-chairs and stools. You even see kitchen table testers. Admitted, just saying this doesn’t sound too extraordinarily. The Europeans do the same. However, they usually are done with it after 2-5 minutes. That’s when they respectfully get up again from the things they don’t possess. But Mister Li turns into a real pro-tester. He puts on a skilled face and inspects every piece of equipment he can get his hands on, slides around arm rests and quietly nods a lot in comment to his findings. 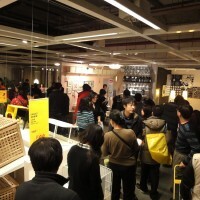 IKEA may not exactly bear the image of a luxury brand for the Chinese, but it definitely is something for those who are better off. The European tends to forget this. 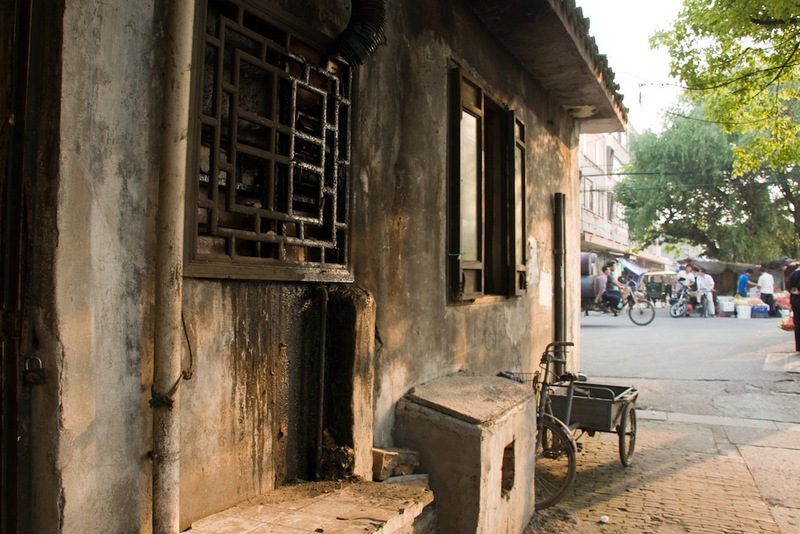 To him the wrench house is famous mostly for equipping student’s dorms and young families apartments. But the price level on the domestic market is different around here. And so is life. Which is why, frankly, Mister Li knows Jack about what he’s doing there. You can tell by looking at his posture which is not relaxed on any item he is testing. And you can tell by the fact that he only inspects those items which someone else had looked at before. Preferably a foreigner. Because, let’s face it, they must know. In the end it’s their equipment parlor. And so it is obvious to see that Mister Li tries to imitate a lifestyle that just isn’t his. And it’s one that he doesn’t need. However, he really does like to appear like somebody who deserves the title “connaiseur”. Something that just won’t fit however is the surprisingly high number of people in the wrong age. 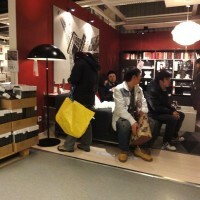 Mister Li’s parents are hovering in front of white wall units, pondering about the strange choice of colors. One question is painted clearly on their foreheads: why would the Europeans choose such a light paint which catches dirt so easily? But their are not here to spend money anyway. For them it’s rather like visiting a museum for strange western habits and life styles. They look about as puzzled as Herr Meyer does inside the 120 square meter shop for green tea in Wangfujing: So much choice of things that you don’t really have any need for and whose differences you don’t seem to be able to grasp. There is a sign at the end of the market hall. Right where the border lays to the huge self service shelfs with the DIY storage racks. It reads: “We will deliver your items on the same day if you purchase them until 6 p.m.”. Sure, they don’t put it there in English, but this is about what the sign says. Right underneath it however, waits a middle-aged woman. She looks like a customer who waits for her husband or for Mister Li’s nephew’s sister-in-law’s aunty or something. When passing her, she silently hisses something. It doesn’t take long and you know that this is the delivery service. Except it’s not from IKEA. 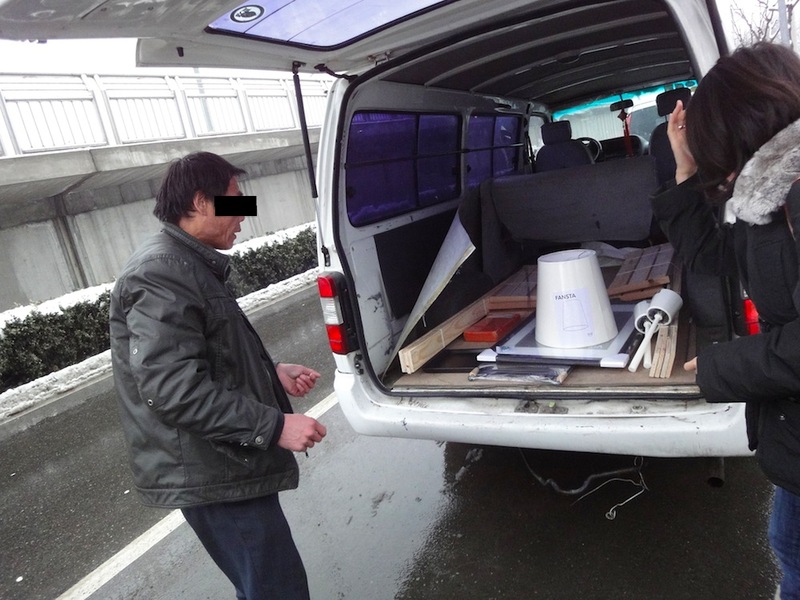 Here we actually encounter something that is unknown to the western furniture worlds: a taxi mafia. And it goes like this: You discuss how much stuff is expected to be inside your shopping cart after having passed the cash point and where you need to deliver everything to. After that inevitably follow the tough price negotiation talks. After having found an arrangement, she picks up her phone and hectically makes various phone calls. We were all set for an amount of 8 Euros for a completely full cart plus two large Gorm storage shelfs – a bit of a challenge for any ordinary taxi. Misses Mafia however was very upbeat about it all. Talking of that – she was very service oriented anyway. She’d help us put the stuff onto the miniature conveyor belt at the cash point and from there back into the cart. 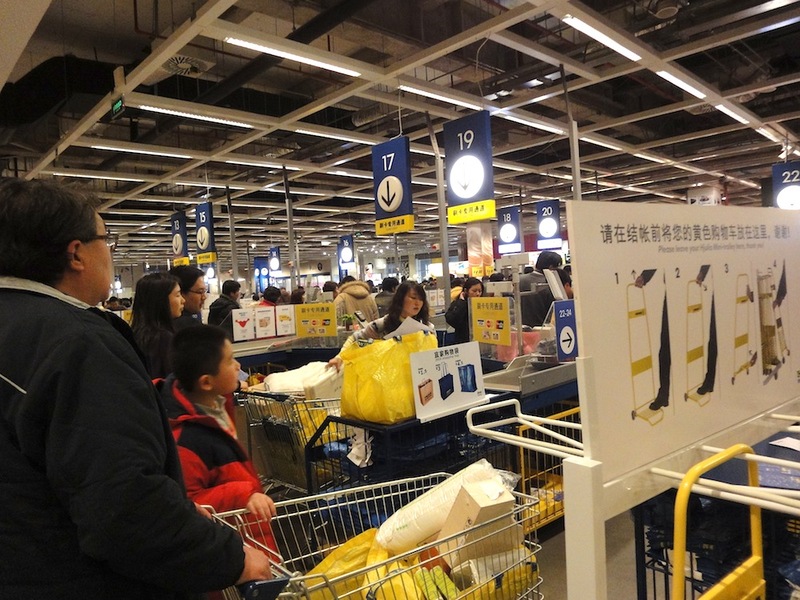 She’d push the second card with the bulky storage shelfs and give it to the incognito dispatch manager who showed off his status by expressing a quite recognizable English “Welcome to China”. After that he determines the right driver for the job and accompanies us to the exit. Outside we’re warmly welcome by the fellow with the car key who immediately takes care of the heaviest shopping cart and starts packing it all into a little mini van. It conveniently parks almost right in front of the building. It all happens without further ado and the only thing the driver wants to know is whether we need his assistance in erecting the two Gorm racks, because that would make his trip last a little longer. He has all the necessary tools for installing pretty much anything right there in the van. Good man! But we don’t need his help, we’re wrench-skilled ourselves. And so off we go. He drives right up to the building door and bravely unloads everything himself as well with some impressive heavy lifting action. I know what you’re thinking and you’re right. This whole service isn’t exactly legal. We had the doubtful pleasure of witnessing how two colleagues of Misses Mafia got escorted out of the building by some not-so-happy looking security guys. IKEA doesn’t tolerate any delivery competition. And that’s a bit controversial. They actually profit a lot from that. The customers know they don’t have to hold back during shopping. 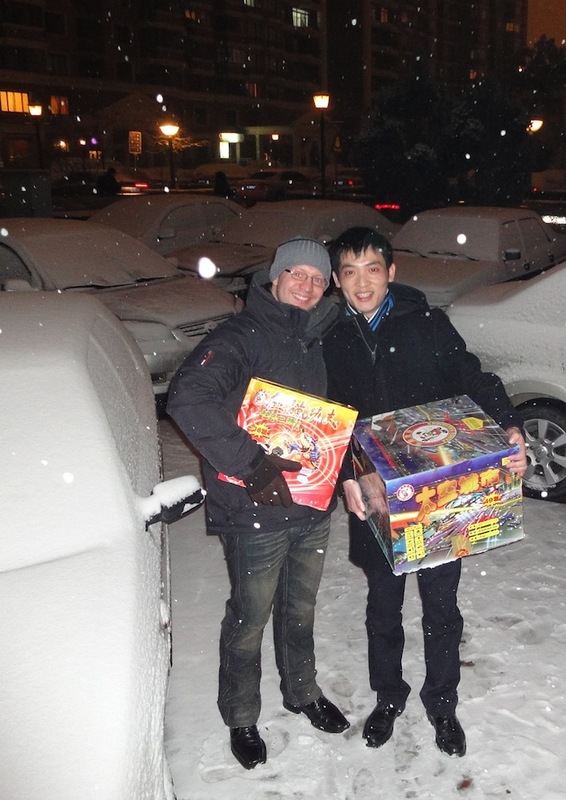 They will manage to transport anything to their home, including a complimentary taxi service for themselves. 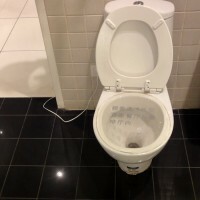 And it would even be installed for them if they would like that. 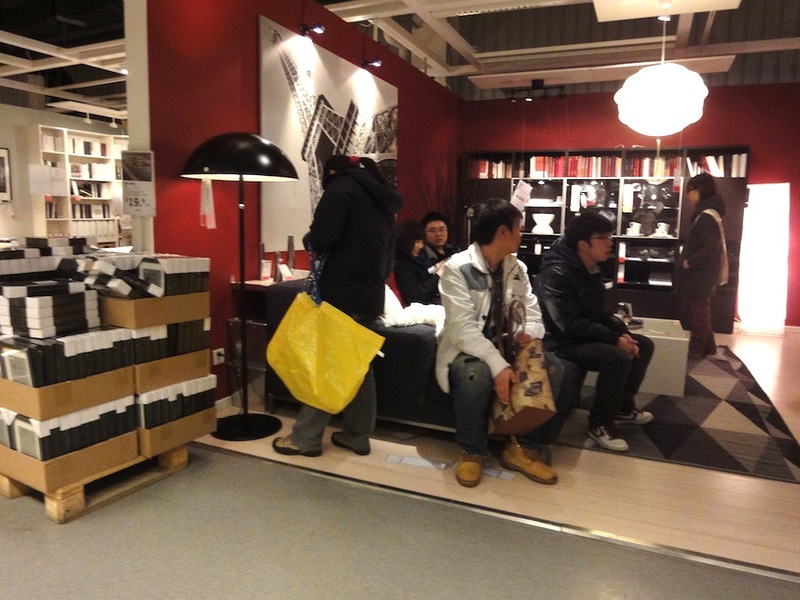 The stupid foreigner calls that a classic win-win-win situation for customers, IKEA and even the four-wheeled mafia. Sure, mafia might not be the correct term – but it was clearly well organized. Everything went too smooth and quickly to just be a tiny money-on-the-side thing of a handful of people. But I certainly welcome any mafia that helps saving money and is polite and helpful! Mister Li didn’t need this service. 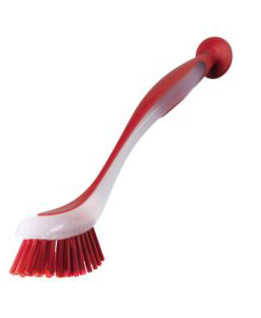 All he bought was a little brush for dish washing. 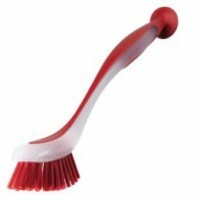 It has a little sucker cup on the bottom which allows for a firm stand on a flat surface. He just thought this little sucker thing was very cute. But he didn’t get the fact that this is a kitchen item. 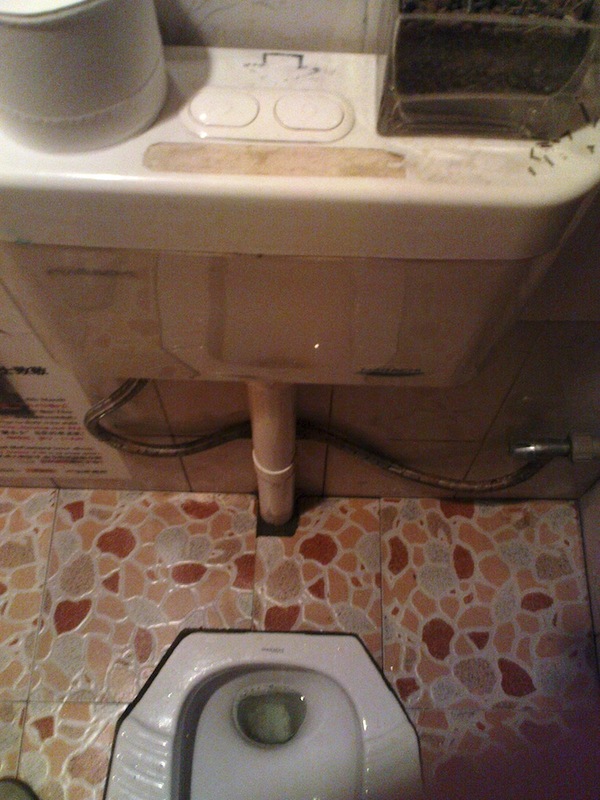 So from now forth the brush sits next to his bathroom sink and Mister Li keeps wondering about the strange ergonomics of European utilities for hand care. But a connaiseur keeps a stiff upper lip. Lighten up with alien glibber! On the last day of February it was time. Time for anniversary. Needless to say, it wasn’t a pretty one, but you just can’t overlook it. Rustily the fallen ogre raises towards the heavens, stained like the fur of a scabiesious mutt. The metal skin is pervious and bust open at countless places. Steel struts from every corner join to form a crumbled monument. Like begging hands they dramatically raise their silent “why”? You guessed it – we’re talking about the Mandarin Oriental. 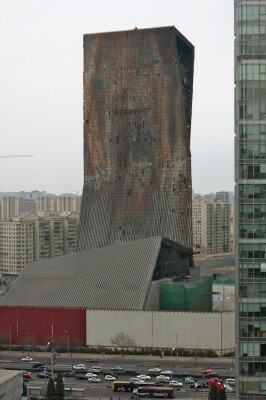 It was destined to become the new talk-of-the-town hotel inside the glorious CCTV complex, right at the heart of Beijing. And we all know how that turned out. Authorities managed to blame 20 wild jumping jacks for the whole premature deconstruction during the course of the past year. 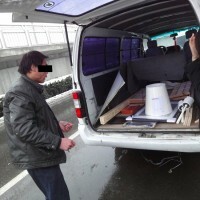 Ignoring police advice they indulged in their explosive needs at the time in question and in the courtyard of the CCTV. From now forth they may indulge in splitting that extensively large piece of paper that resembles the bill. A few millions in length. Talking about explosive! However, the clever reader certainly has already detected a flaw with the date. 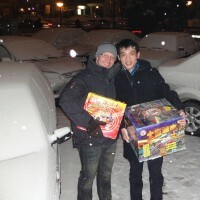 The five-star fireworks of last year took place on the 10th of February. So, how come the anniversary is this late? The answer, mind you, lays within the calendar system. 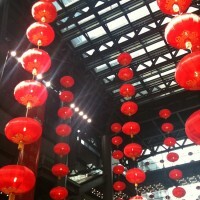 15 days after the Chinese New Year is the lantern festival. On this day the Chinese dig up their last cracker reserves and celebrate the final day of the New Year’s festivities. Not a good day for devotees of peace and quiet. And not a good day for new buildings either as it seems. So on the 28th it was lantern festival again. And this time it should be well prepared. Nobody wanted another major BBQ event. And so a truckload of signs were erected, cautioning everyone that fireworks wouldn’t be allowed in the city center. Neither close to buildings, places of public interest and best of all would be not to have any fireworks at all. You could call it the “No bang” parole. But frankly, what do you think that billions of Chinese will do when there are countless sales tents in every larger street, just tempting everybody’s explosive desires? Well, certainly – they buy. And they do it by the dozen. This year the country has seen 676 fires accompanying the New Year festivities. Bottom line of damages? 2 Million Yuan. Approximately. Strange enough you can hear the authorities being proud that the death toll was reduced by a staggering 66,7 percent compared to the year before. However, they pre-cautiously don’t publish any total numbers. Maybe that’s not such a bad idea, given the fact that just in Guangdong 21 people were swiped off the face of this earth in a single explosion due to exaggerated use of fireworks. We better don’t project that to country-wide numbers. 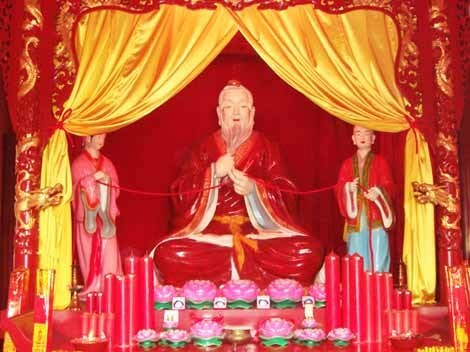 The odd truth is that the lantern festival originated from the will to keep suffering and death away from the country rather than attracting it. To intimidate the evil with red light like from fire and the noise of exploding firecrackers and to embrace the good into your home – this was designed to harvest heaps of luck and fortune for the coming year. Catering to my endeavor to make the readers of this blog the best-informed on the planet I tried to gather as much information as possible about this special day. 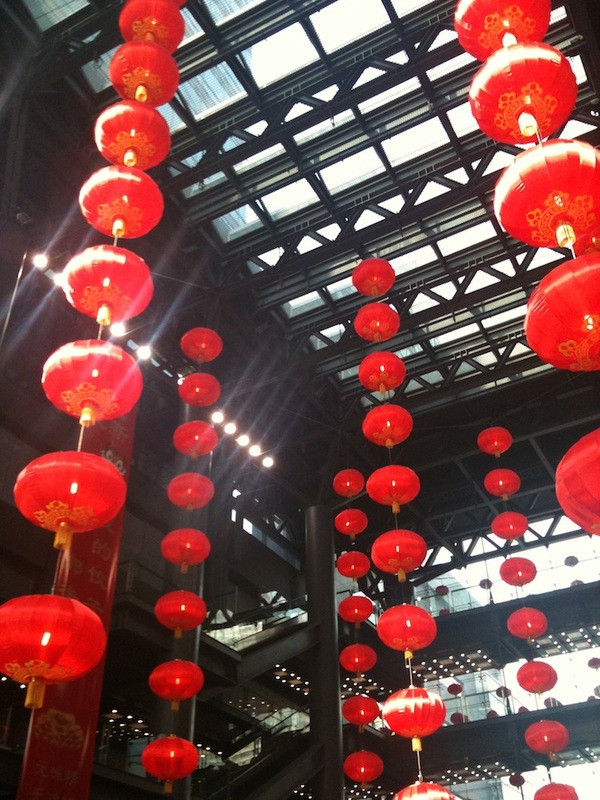 Every spot of this country was decorated with red lanterns and so it looked promising. Mister Li’s ancestors, however, have been happy travelers. And so I learned that all the historical rites and customs of the countless regional cultures have been blended into an altogether-now-smoothie. It’s tasty in a way, but nobody really knows what’s in it or where certain traditions originate from. There was this dragon they had killed. And now the god was in a bad mood. So the Chinese had thought up the clever plan to spoof the almighty mate and thus created a certain theatrical masterpiece. By making the Earth look like it’s already doomed, they had hoped the god would refrain from his revenging plan. Why bother? The humans are already killing one another as it seems. You must wonder though why nobody thought about this possibility: What if that god got up the next day and saw this very Earth calm and in order while looking out of the window and having a godly morning coffee? Wouldn’t Lord Thunder just pick up his revenging plans again on that day? The mumbled answer to this question is a simple: “don’t ask ‘why’ all the time”! 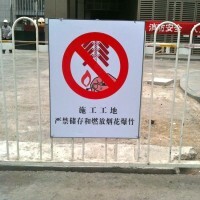 Yes, the Chinese don’t like to ask “why”, they just do as they are told! Not going to the hairdresser until March 17, because this could make your uncle suffer? Well, there’s half an explanation, but no-one really is too sure. Still they obey that rule. Eating dumplings for the New Year, trying to find a coin in them? Come on – we always did this, what’s with all the questioning? I have to admit – in Europe people on the streets would have trouble explaining why there are eggs for Easter and what the deal is with the special biological feature that these are delivered by a bunny. And the turkey for American Thanksgiving? Yea, well, there were these pilgrims and they kinda didn’t find the drive-in….ah, gee, don’t ask so much! 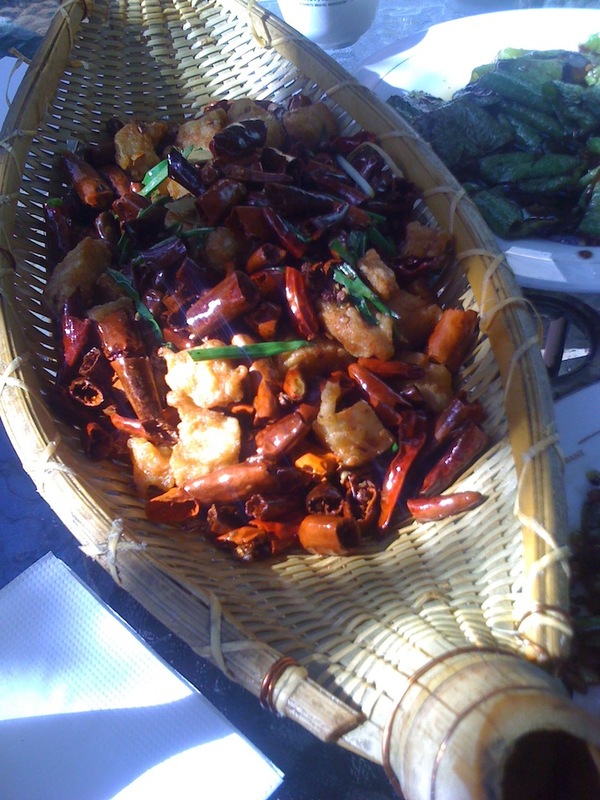 So in Beijing, anyway, at lantern festival they eat this …eh…stuff. For clear identification and to make things easier I dubbed them as “alien glibber”. 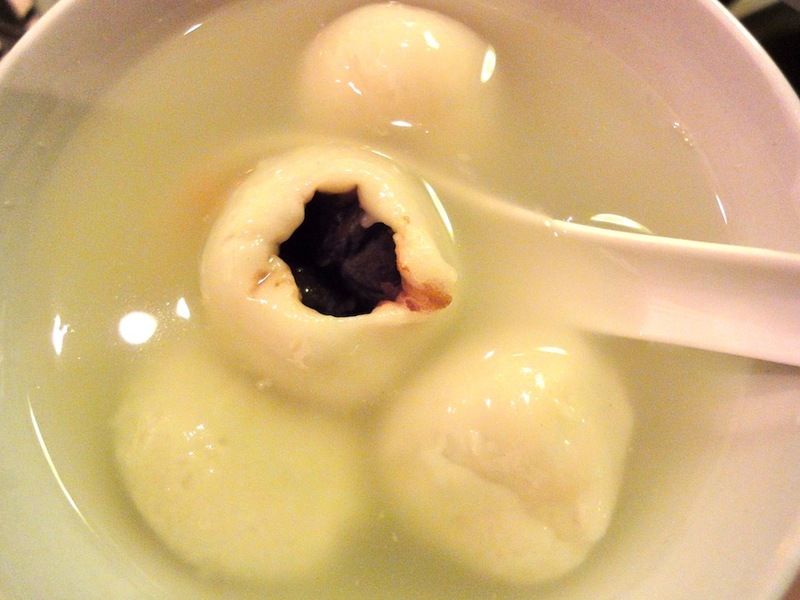 Those who fancy a more disgusting description may very well refer to them as ‘something like soft-boiled cow eyeballs’. That would be very related to their texture. But it doesn’t help the will to bite into them. 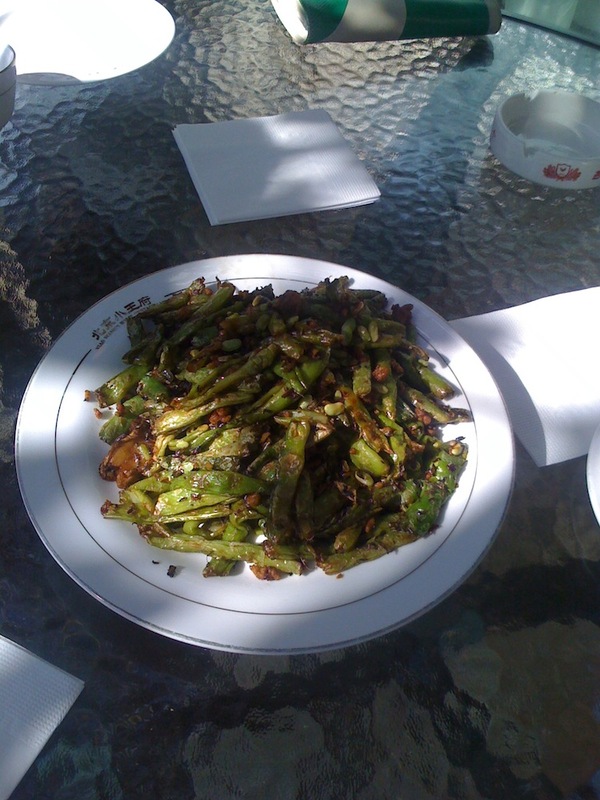 Frankly, this dish carries another thousand years old history full of dragons, agony and valiant virgins. But this tale shall be told another time. For now let’s focus on the taste. It only took a very short year to get used to them (you simply don’t really eat them at any other time in the year) and they are not that bad. Really. Strangely similar to a Squash ball you push the top surface almost all the way down to the bottom, before the laws of physics allow a tearing of the ball and reveal the inside. And that’s where the color contrast awaits the nosy one: a dark black substance oozes out and over the innocently white edges. “Indiana Jones part 2″ is the first thing that comes to mind. Memories of a childhood, staring at the TV screen. The rental VHS tape in the squeeling player. Harrison Ford, fitted with hat and lash, sitting at the table of horror. Monkey brain, bugs and snakes offer themselves as the utmost delicacies. The first impression is indeed related. How disappointing and boring the truth! There’s no busting chitin armor and no horrible bitter substances are attacking the taste buds. 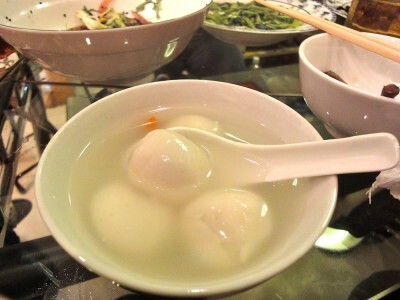 Instead it’s total relief: they are nothing but sticky rice balls filled with a sesame cream. And that’s just how harmless they get acquainted with the senses. A nice dessert. Unfamiliar but not untasty. When sitting among the happily smacking and chatting family circle, shouting “ganbei” more often than not, there’s a single thing one can constitute at the end: Not even the Western foreigner needs a “why” for cosiness, peace and comfort. The only question coming to mind may be “why not more often”? We were able to make use of our private artillery without any unplanned incidences or blazing cultural possessions. But then again – we only had two very tiny crackers…. My dear Mister Li. Today I guess I’m going to have to apologize to you. You know, kinda like on behalf of lots of others. I know – Your are a single person only and you have a name. But despite that you are constantly and unjustly being labeled and referred to as “they”. THEY have no clue and THEY horribly stress one’s nerves. THEY just plainly can’t do anything right and couldn’t survive a single day without US. Sometimes it’s bluntly impossible to avoid what is men’s most beloved ritual of fraternization: pigeonhole thinking. Frankly, you don’t have to flea to far-away-land to experience it. You can very well find it right in front of your own doorstep. But still, a lot of us tend to generalize things far more constantly and extensibly when being very distant from home. THEY have blocked the whole road again. How is it possible that THEY are completely incompetent of driving whatsoever? And you guessed it: the word THEY usually is synonymous with “the stupid” and WE gloriously represents “the very clever”. And here comes the fabulous clue: Since he who talks is always part of the WE, he thereby is also safely on the sunny side of smart. Now isn’t that convenient? So, if THEY are cramping up just about any junction on a green light, because THEY give a damn about the way of right, then the inversion of the argument is that WE are the heroes of the yellow brick road. And that’s certainly a nice insight to live with. There’s only one very dumb thing about the label THEY – it prevents absolutely any differentiation. And so by using THEY, we quickly turn every single Chinese into a parking monster. Not just that sole Jetta-king in front of us who makes us detour for 2.5 yards. Going to a foreign country inevitably means being part of a minority. Maybe that can explain why we are not shy in raising our huge social stamp to happily start playing post office with everyone around us. But one needs to wonder: if your ink dries out too quickly, maybe you’re not exactly the best choice for being part of the jury. On the other hand, taking traffic as an example here is quite stupid in itself. They really don’t know how to park their ride. None of them does. And they’ve never heard of the combination of way-of-right and common sense. Instead they make extensible use of the car’s horn and squeeze in. It’s madness – none of them should ever have passed the driver’s license test! 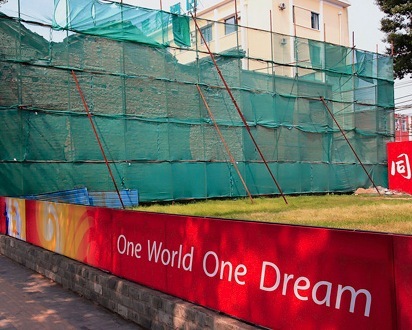 “One World, One Dream” – The local patriotic motto of the olympic games 2008. This posy sounds like a 60degree-elevated daydreamer look into the future and it might very well be almost unknown in the West. In Beijing however, where almost exactly a year and a half ago athletes from around the globe were fighting for medals, the phrase is known to any child. You can still see it in every day’s life. Some fading construction fence is wearing it. 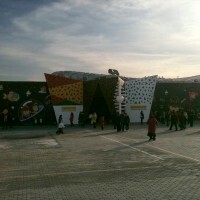 There are buildings whose walls are still costly decorated with the colors of the event. They stubbornly cling to the plea. The Western eye sees but a sad picture. It’s apparent that they don’t really serve any purpose these days. There’s not a lot which can de-spur as intensively as yesterday’s dreams. We live in times where the globe’s larges search engine company and both the Chinese and the American government fight for digital leadership. Who, with impunity, may be allowed to install the largest thinking filters to whom? And who may collect the most data? The liberal mouse-clicking lad is scratching his head. 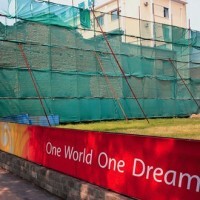 Not only is there no mutual dream – even the beginning of the olympic sentence is out of line: Currently it doesn’t much look like “one” world to begin with. Herr Meyer believes that the pre-olympic dreams have not only not come true, but that the dream has turned slightly nightmarish on top. Where is the rapprochement of the Chinese which the world has hoped for so desperately? What about being more open to lifestyles, which are widely accepted by the West? Sir Johnson adds, that it actually looks like the situation is much more desolate now than it was prior to the games. He fretfully orders another beer. And Mister Li? Did we ever think about questioning Mister Li for this two cents on this matter? 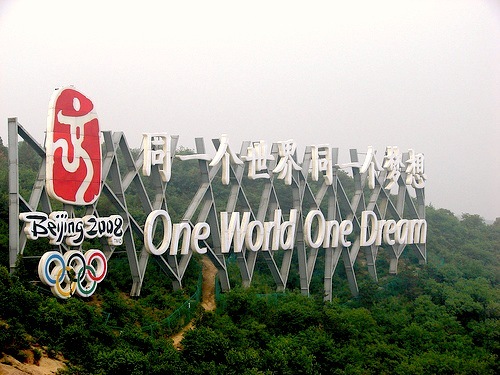 The intention was to bring the Olympics to China. And didn’t that work out indeed? 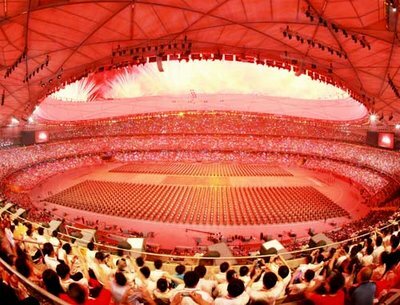 Proving to the world, what a great athletic nation resides on this side of the cultural equator – this turned out to be an absolute success: China took the number one spot on the medal ranking. The games in this country – one could compare it to the football world cup in Germany. An indescribable feeling of unity. Patriotic to the fullest and arm in arm, the Chinese for once didn’t have to feel like a shabby third world country on the brink. Who would want to deny them this experience? In 2006 the Germans learned that it’s OK to disclose their nationality in public. And suddenly their nation’s flag didn’t look all that ugly any more. It was a sudden liberation. 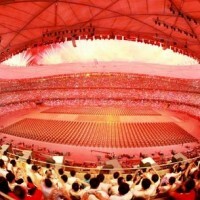 For Mister Li, this olympic games thing was just the same. 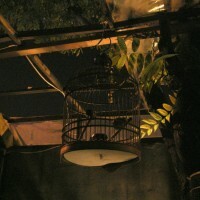 And cross your heart – who really cares which girl is singing which song and how much fireworks are genuine or fake? Hollywood repeatedly decides to blow up Washington D.C. or New York, and in reality not a single brick is going loose. Still, everyone is feeling fabulously entertained. What really counts is the effect. 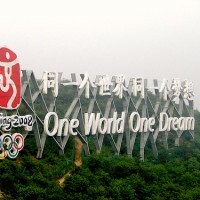 For two weeks the Chinese were allowed to experience themselves as a grand part of the “One World”. This and the provable athletic success was the “One Dream”. And everything has come true. So, Mister Li really doesn’t understand how the word “desolate” fits into this picture. Herr Meyer and sir Johnson are glimpsing at one another with huge questionmarks on their faces. It’s dawning upon them that they might have to check about the origin of the their interprettion of “One World, One Dream”. But still, they push up their mental sleeves and for the next hour they will fight on the terrain of inter-cultural arguments. The sun is starting to set over the capital. With a slow pan, the camera retracts from the small restaurant’s table on which our little group is heavily discussing their important points of view. 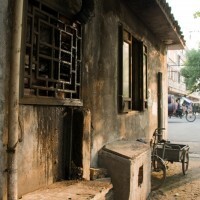 After moving backwards out of the window, it curves to reveal the little hutong alley. Typical sounds reach our ear: the whispering of the wind, a distant car horn on the main street, two laughing kids and the murmuring of the neighbors. Captivatively they are checking out the camera crane which elevates at this very moment. We catch a short glimps of a piece of cartboard. It was scantily squeezed into a hole in the wall. 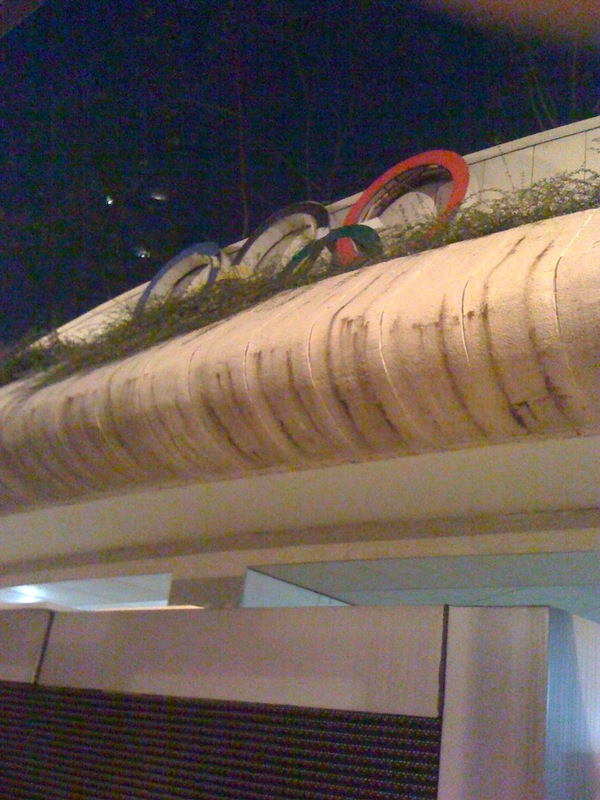 A few yards down the road we spot five colorful rings. Their best days have long passed and they keep paying their tariff to time. 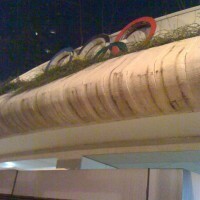 We overlook a city that has changed tremendously because of the olympic games. 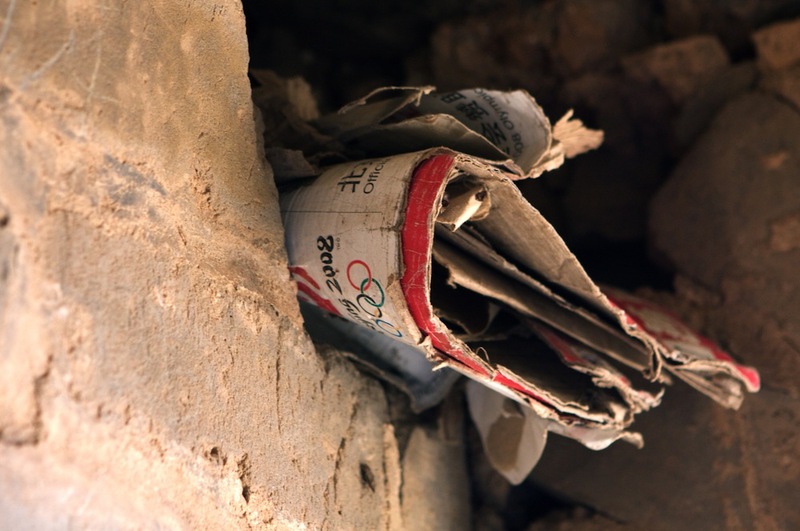 The IOC relics disappear bit by bit. But the life of the people we see has mostly been changed in one single way: their ego is strengthened and their confidence into the future is much stronger now. And THIS change is long lasting. Further into the distance we can spot the birdsnest. 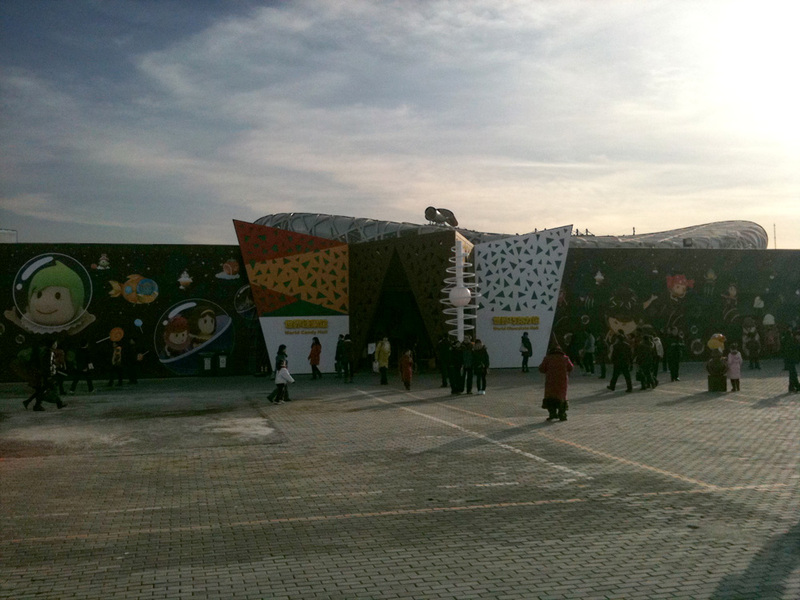 It features an artificial outdoor skiing track these days as well as the World Chocolate Wonderland exhibition. Visitors may marvel at Easter eggs, Santa Clauses and lots more strange foreign treasure made from chocolate. Both attractions imply mainly two things: On one hand the continuous attempt to familiarize the Western and Eastern cultures. On the other hand it proofs the amazing fact that this city’s government is still pursuing the goal of not letting the games’ facilities go to waste. A goal which lots of other nations have given up rather quickly after they held the ‘games’. Our camera elevates and near the horizon we can see a piece of the Chinese Wall. A testimony of the country’s 5000 year old history. According to Mister Li, at one time in its shadow Confucius said “Those who strive for longlasting happiness must change often”. Change however, comes from the inside and so does its direction. And who honestly believes that this direction would be exactly the same as it is expected from the outside? Geez, Mister Li – I must say you’re awefully right about that. Cheers, you yellow scoundrel! And now let’s go and sing a few. “Da musst Du UNBEDINGT mal hin”! Vom Lexikon als “echt” und “original” bezeichnet, bekommt die kleine lustige Vokabel “authentisch” in China ein schizophrenes Eigenleben, das seine eigene Bedeutung verlebt. Als Neuling weiß man das noch nicht. Und so pilgern unablässig Frischlinge zu den authentischsten Plätzen der Umgebung und verbreiten anschließend in gutem Glauben die Sawyer’sche Theaterbegeisterung. Wer etwas länger im Land ist, dürfte einer als authentisch beschriebenen Location relativ wenig Interesse entgegenbringen. Er weiß: Authentisch bedeutet in diesem Zusammenhang hoffnungslos alt, zerfallen und besorgniserregend hygienefrei. Mehr nicht. Es ist erstaunlich, aber es stimmt: mehr nicht! Aber wer nach China kommt, ist praktisch zwangsläufig auf der Suche nach Unterschieden, dürstet nach Kulturschock und bejubelt jeglichen Kontrast. Sonst hätte man schliesslich auch nach Mallorca fliegen können. Nein, wenn man schon den weiten Weg auf sich nimmt, dann soll es auch was bringen. Immerhin warten Freunde und Kollegen zuhause auf haareraufende Geschichten. Die Skandalsau in uns allen grunzt nach Futter. Und zur Not wird dem Kontrastregler halt einfach ein wenig nachgeholfen. Nach einer Weile Aufenthalt sind schließlich alle offensichtlichen Differenzen zwischen hier und daheim abgefeiert. Und was läge also näher, als zum Experten des “echten alten” Chinas zu werden? Dann würde man auch den hier ansässigen Kollegen tolles erzählen können. 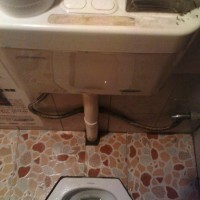 Wie wunderbar also, wenn man wieder einen Laden gefunden hat, dessen Interieur von Maos Urgrossvater gestaltet worden sein könnte! Meist ist es auch von diesem das letzte Mal gereinigt worden. Aber das macht die Sache eher noch interessanter und eben erst recht so richtig authentisch. Man bestellt quer durch die Karte und probiert was das Zeug hält vermeintlich geheimtippsige Getränke ohne Aufdruck von Haltbarkeitsdatum. Keine Sorge – wenn es authentisch ist, dann kann es nicht schädlich sein. Ach wie schön – das ist das echte China! Und das kann man nur finden, wenn man die ganz versteckten Plätze auftreibt. Komisch eigentlich, dass dann dort abgesehen vom Personal keine Chinesen sind. Der Tipp zu dem Restaurant kam auch nicht von Herrn Li, sondern Herrn Meyer. Inhaber und Angestellte jener Etablissements haben sich längst mit der wunderlichen Tatsache abgefunden, dass die komischen Ausländer es so haben wollen. Wenn man sie (auf Chinesisch) fragt, geben sie recht schnell und offen zu, dass sie es nicht verstehen und selbst eher woanders dinnieren würden. Aber wenn sich damit ein Geschäft machen lässt, dann bitte sehr. Und die Geschäfte laufen gut. 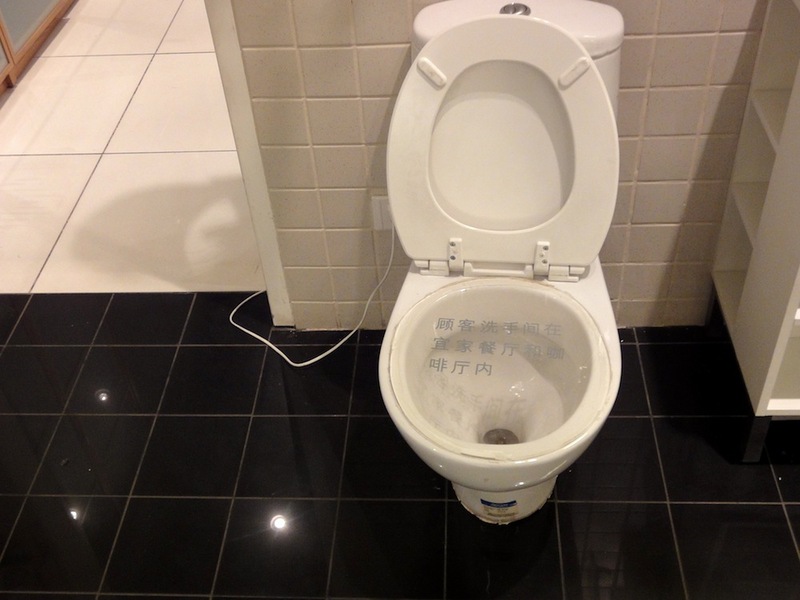 Die echten Chinesen sitzen dann derweil unweit der Bruchbude in moderner ausgestatteten Restaurants. Deren Küchengeschichte reicht jedoch Generationen zurück, wie man mit wenig Aufwand erfahren kann. Im Laufe der Dekaden ist man nur in größere und komfortablere Immobilien gezogen, um dem Ansturm der Gäste gerecht zu werden. Dennoch sind jeden Abend alle der unzähligen Tische mehrfach belegt. Erinnern wir uns an eine bekannte Weisheit: wer im Ausland gute Küche sucht, sollte dort essen, wo die Einheimischen essen. In die Eingänge dieser Restaurants verirrt sich aber fast nie ein Laowei (spöttisch für “Ausländer”). Viel zu unscheinbar und viel zu wenig authentisch. Ironischer Weise ist das Restaurant damit das besser versteckte. Und den Herrn Meyers und Johnsons entgeht so das beste Essen. Und das müssten sie WIRKLICH mal probieren!